The tiny kingdom of Bhutan in the heart of the Himalayas is located between populous China in the north and democratic India in the south. 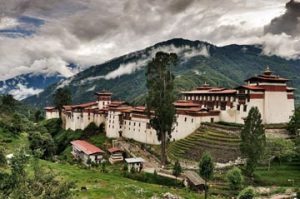 Bhutan was in complete self-imposed isolation until 1960s when the world was in race for political dominance, military supremacy and economic power. The evolution of Bhutan was a slow process from egg – larva – pupa to a beautiful adult butterfly that attracts many passionate lovers from around the world to feel and experience the beautiful Bhutan. The inhabitation of Bhutan is traced back to 2000-1500 BC. The history of Bhutan comes to the surface in the in its vague form with the advent of Buddhism in 8th century, but a clear picture of the country appears only in 17th century with the foundation of an invincible political set up known as Choesid Nyiden (Dual system of Government), to best suit the need of the people in the times to come with Drukpa Kagyud as the state religion. Bhutan has long been under the theocratic regime of Zhabdrung since from the foundation as a nation state in 1616 till the end of the regime in 1907. The inherent weakness of the theocratic regime in the chains of dual system of governance and the political instability gave way to consolidate the state power in one hand, monarchy. The Fourth King, Jigme Singye Wangchuck brought a historical change in the political administration ever to be remembered in the history of Bhutan in the blessing of democracy, a gift from the golden throne. Democracy comes as a surprise to the people, but the mechanism of democracy was in the system with the signing of the historic Genja (in political term called as ‘Social Contract’) with the enthronement of the monarchical institution in 1907 in Bhutan. The legacy is kept still intact with the new monarch, His Majesty the Fifth King, Jigme Kheser Namgay Wangchuck. Bhutan opened its door to the outside world only in early 1960s and joined UNO in 1971 to secure a place in the international arena. The development philosophy is based on the model so called ‘Middle Path’ and it accepts aid from the foreign donors who has deeper respect and appreciation for Bhutanese culture. Agriculture is the back bone of the Bhutanese economy and revenues are generated through Hydro power as mountains are the nation’s wealth, followed by tourism. Tourism was started in 1974 coinciding with the coronation of the worlds’ youngest monarch, His Majesty the Four Dragon King. Bhutan has nothing exciting to offer like Great Pyramid of Giza, neither Eiffel tower of Paris nor Leaning tower of Pisa, but colorful festivals, integrated architectural style, intricate cloth design, hot pepper cuisine, sacred site and monuments, and living culture are the tourist attractions which makes Bhutan one of the exotic destination in the world which is guided by the policy of ‘High Value, Low Impact’ tourism. In the social sphere, the social structure seems to be a patriarchal society, but within the framework of its structure it is equally a matriarchal world. The society is a perfect blend of mutual love and respect that binds the community together. Every mishaps and misfortune is mourned together, while happiness is celebrated as a victory. Bhutan is one from few nations who provide free health/medical service with more than 90% of health coverage resulting in life expectancy of 69.8 years and free education covering the general literacy rate of 63%. And what makes Bhutan so different from rest of the world is that the Constitution of the Kingdom of Bhutan mandates that Bhutan should maintain 60% of the forest coverage in all times to come, and lush green mountains are the fact that the country has 72% of forest coverage as of today. The rich biodiversity provides the shelter to 721 bird species, more than 50 rhododendron species and countless of other flora and fauna species widely distributed across sub-tropical zone to the Alpine region. The swift political transition from theocracy, dual system, monarchy to democracy is clear-cut example of ‘Good Governance’, while free health and education suffices the domain of ‘Sustainable and Equitable Socio-economic Development’. The living tradition and culture is the proof of ‘Preservation and Promotion of Culture’ and 72% of forest coverage is the evidence of ‘Conservation of Environment’. 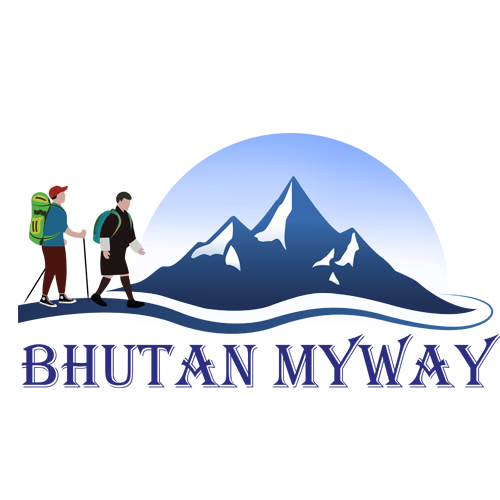 And these domains are the four pillars of Gross National Happiness (GNH). Article 9 Section 2 of the Constitution of Bhutan states, “The state should strive to promote those conditions that will enable the pursuit of Gross National Happiness”. So GNH is the development model or key in Bhutan.